Who doesn’t love a good buffet? They’re the BEST! Nevada has more than 130 buffets, with 1 buffet per 20,875 people. That’s a LOT of buffets! I’ve never been to a buffet where I couldn’t find something delicious to eat. I’m somewhat of a picky eater, so buffets work well for me. Toucan Charlie's is a wonderful buffet that offers everything from salads and delicious desserts to juicy hand-carved meats and culinary delights from around the world. The choices are endless. Specialty nights include the following: Fridays - Succulent Seafood Feast; Saturdays - Sensational Steak & Seafood; Sundays - Prime Rib Dinner. Don't miss Sunday's Champagne Brunch. 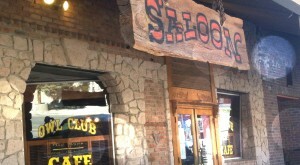 It has been voted RENO'S BEST! 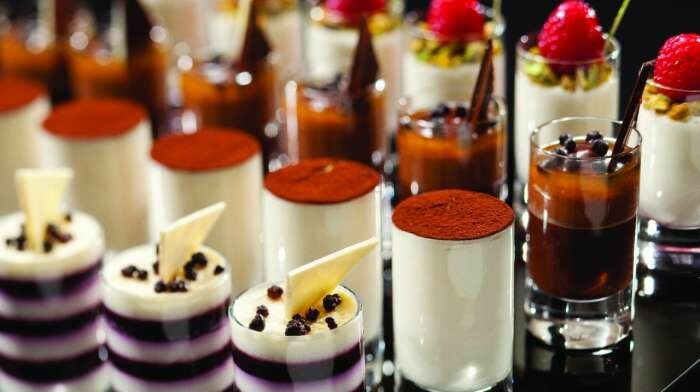 At The Buffet at Bellagio, the freshest ingredients are brought together in an exciting display of taste and talent. 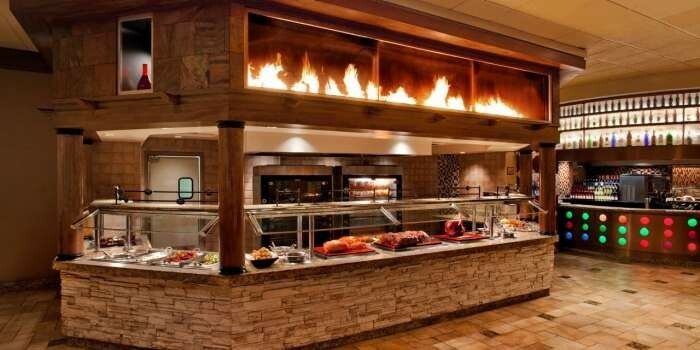 This buffet features several live-action cooking stations. Guests may choose from a variety of cuisines, including Italian, Japanese, Chinese and American. This buffet also includes a new unlimited drink option for $12.99 per person, which allows guests limitless refills on Margaritas, Bloody Marys, sparkling wine or beer. 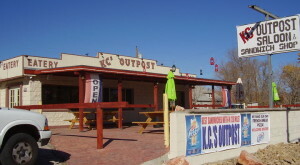 Feast Buffet doesn't only offer delicious food choices, their prices are also very affordable. 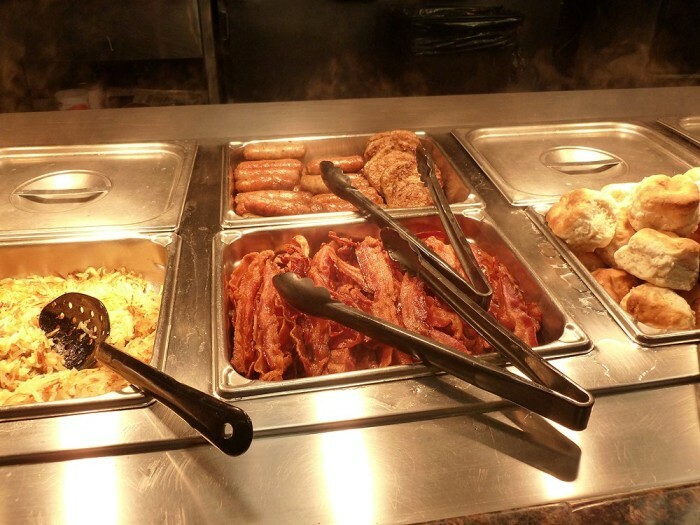 Feast Buffet serves up breakfast, lunch and dinner daily. Their Sunday brunch was voted "Best Brunch Buffet" by readers of the Las Vegas Review-Journal. 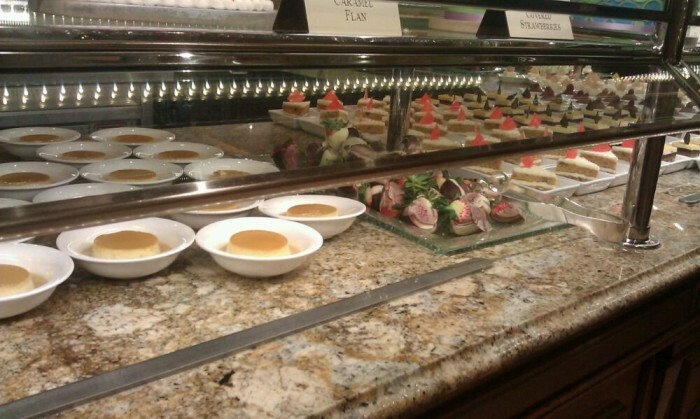 Once you've eaten at Feast Buffet, you’ll be coming back again. GUARANTEED! 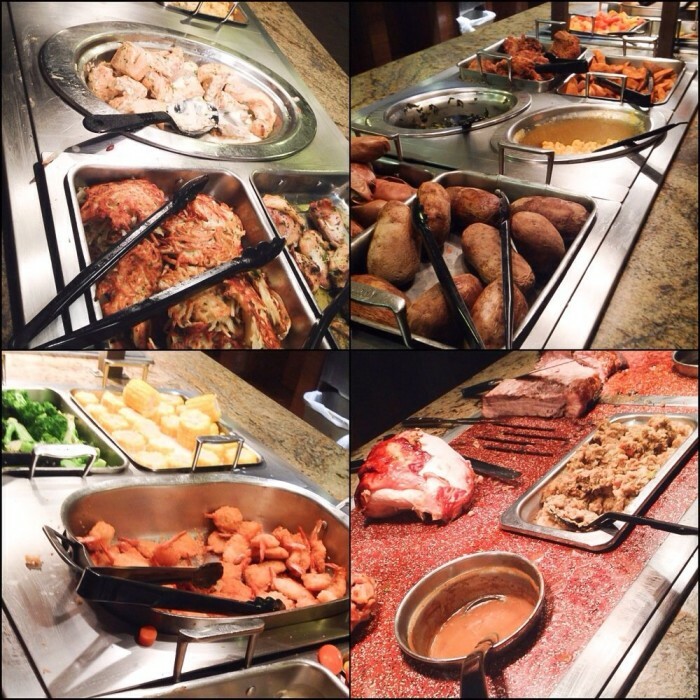 Bacchanal Buffet has been voted Best Buffet in Las Vegas by "USA Today" because it truly is that good. Guests may choose from more than 500 daily offerings, and approximately 15 daily chef's specials are added to the menu each day. A few of the popular foods eaten at Bacchanal Buffet include Fried Chicken & Waffles, Red Velvet Pancakes, Mini Wagyu Sliders and Japanese Curry. 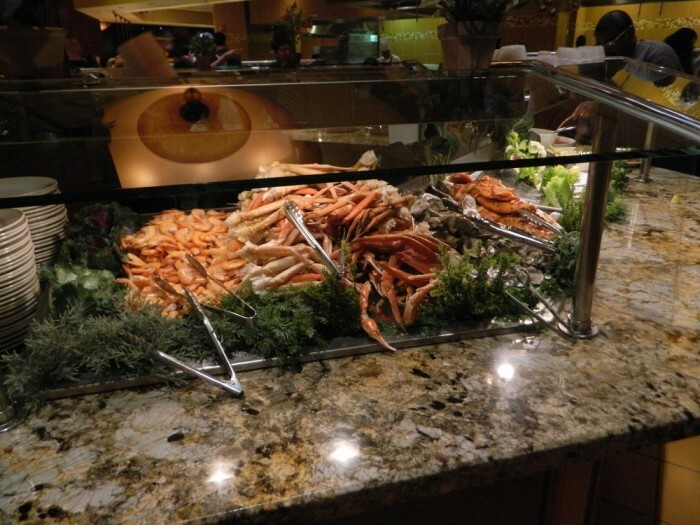 Carvings Buffet features seven food stations that offer the freshest assortment of salads, seafood, meats, etc. The signature Carving Station allows guests to fill their plates with juicy meats, ranging from roast prime rib au jus to turkey. The Italian Station includes an assortment of pastas, meats and flavorful sauces. The Mexican Station includes broiled swordfish, beef enchiladas, chicken fajitas and grilled New York steaks. The Asian Station includes fresh sushi, egg rolls, chow mein and plenty of Asian specialty dishes. The American Station includes fried chicken, corn on the cob, baked beans, mashed potatoes, etc. 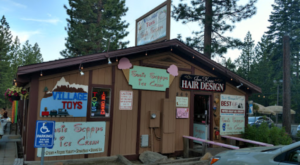 The Confectioners Corner offers a variety of freshly-baked pies, crepes, warm pastries, cookies and other treats. Rotisserie Buffet combines elegant French country ambiance with excellent food. Because it includes a daily rotation of themes, it’s like visiting a different restaurant each day. At Rotisserie Buffet, there's something for everyone. 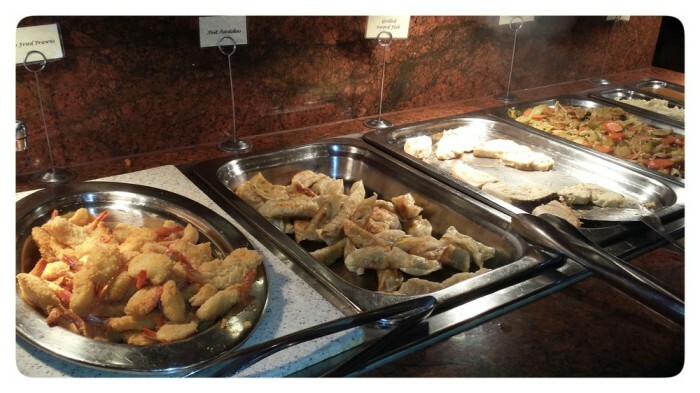 Carnival World Buffet offers a casual atmosphere that's perfect for family gatherings. 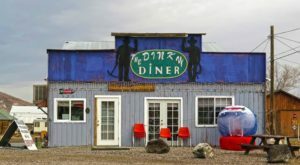 It serves up everything from pizza to omelets, sushi to teppanyaki and freshly-carved meats to Asian barbecue. 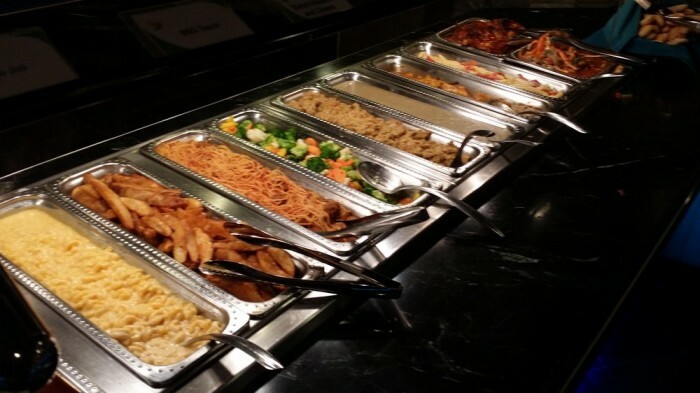 Carnival World Buffet features live-action cooking stations, which ensures freshness. Love dessert? You're in luck! 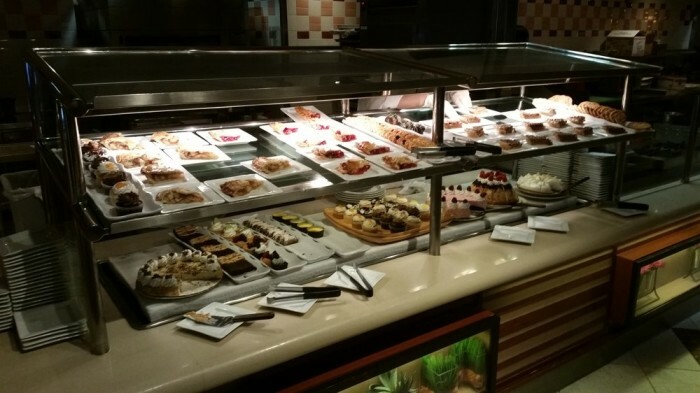 Carnival World Buffet offers more than 70 varieties of homemade pies, cakes and pastries, and nine gelato flavors. These are all made from scratch. 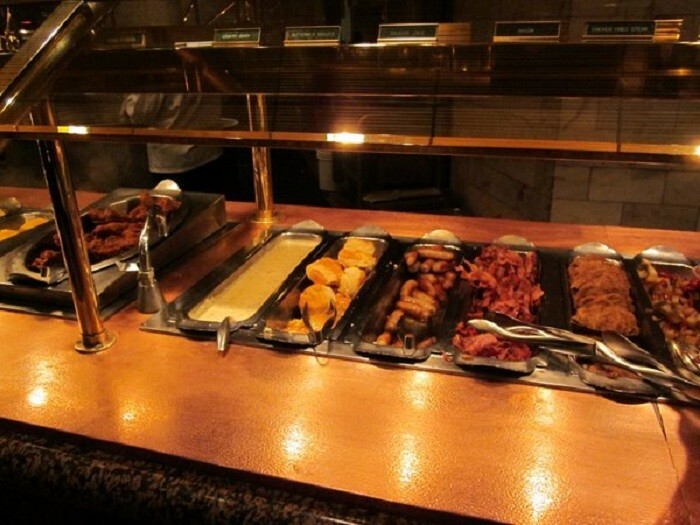 Not only does The Buffet feature fresh breakfast, lunch and dinner buffets, they also offer specialty weekend brunches. The Buffet includes a variety of American, Italian, Mexican and Chinese cuisine, featuring favorites such as pizza, freshly-baked desserts, breads, pastries and omelets. 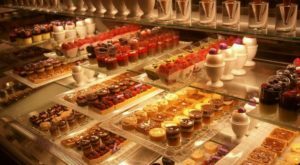 The Buffet's food is served fresh from Eldorado's own bakery, butcher shop, pasta shop and gelato factory. 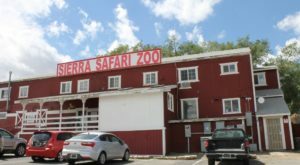 Rum Jungle Buffet is continuously voted the Best Buffet in Carson City, and it offers more than 140 delicious house-made dishes. The five live-action chef stations, seafood delights, giant salad bar, decadent dessert island and champagne brunch are just a few of the many reasons why people keep coming back to Rum Jungle Buffet. At Island Buffet, guests may choose from a variety of hot entrees, carved meats, savory soups, fresh salads, several made-to-order specialties and home-baked desserts. This wonderful buffet has been voted Best Buffet in several publications, including Strictly Slots, Casino Player Magazine, and Nevada Magazine. 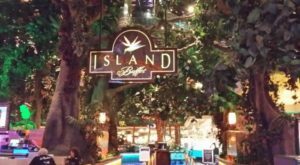 Island Buffet was chosen Best Champagne Brunch in Casino Player Magazine. 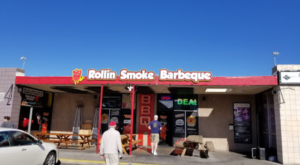 What other buffets are worth dining at in Nevada? Let us know in the comments below!